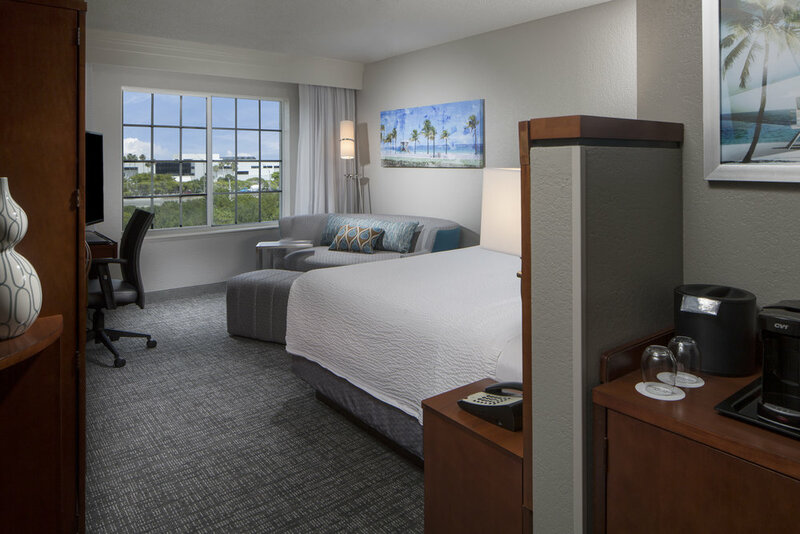 The Courtyard Fort Lauderdale Airport & Cruise Port hotel, located off I-95, is steps away from the Tri-Rail station, offering access to downtown Miami, and just minutes from Port Everglades and Fort Lauderdale-Hollywood International Airport (FLL). Take advantage of complimentary shuttle service to the airport & cruise terminal and stay connected with free Wi-Fi at our hotel. Work and relax in updated accommodations that feature ergonomic work space and luxury Marriott bedding and use our interactive GoBoard®, unique among Fort Lauderdale Airport hotels, to easily access information. Choose from a variety of sandwiches and snacks at The Market, open 24 hours, or select delicious breakfast and dinner options at The Bistro – Eat. Drink. Connect.® Hosting an event? Book one of our 4 meeting rooms with 2,478 sq. ft. of total space. 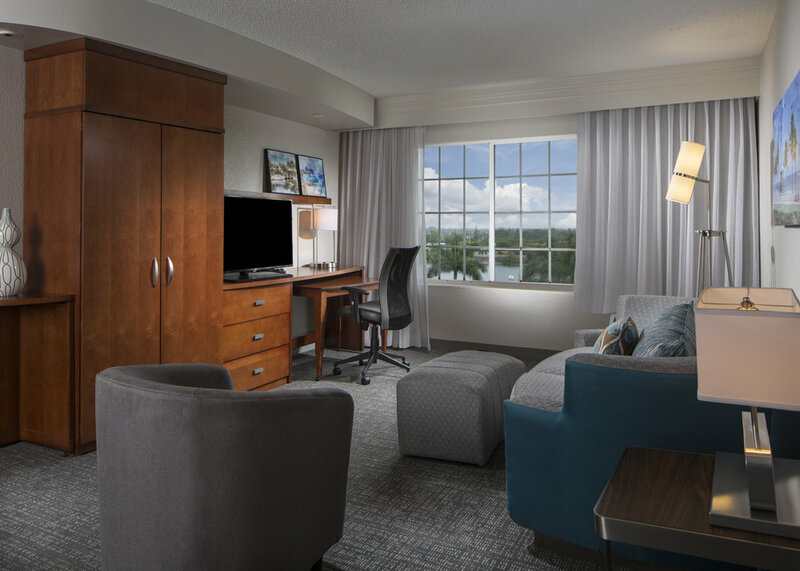 Whether traveling for business or leisure, our Port Everglades hotel near Fort Lauderdale Airport offers thoughtful services and modern amenities to meet any travel need.